In an effort to Keep Lucas Beautiful, the City will host a summer cleanup on Saturday, June 15 from 8 am to Noon. The summer cleanup will focus on clearing city-maintained areas and roadsides of trash. We encourage the community to volunteer in the cleanup as we continue to focus on little abatement and the beautification of our City. You may also register on the day of the cleanup. Volunteers will be split into cleanup groups, supervised, and shuttled to various cleanup areas within the City. All volunteers should meet for check-in at the Community Park pavilion at 8 am on Saturday, June 15. 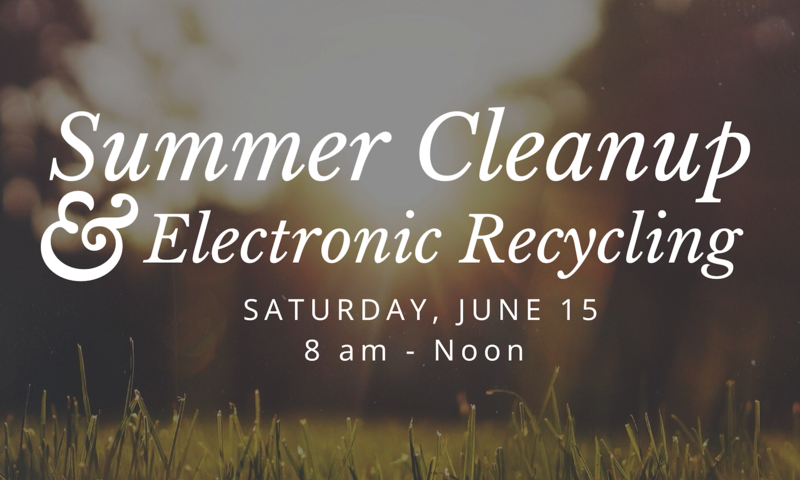 If you have any questions regarding the summer cleanup or electronic recycling, please contact Assistant to the City Manager Kent Souriyasak at kent@lucastexas.us or 972-912-1213.